Twitter is a micro blogging website that has gained too much popularity in the past some years and now it is on the no.9 according to Alexa rankings in the whole world. Millions of people use Twitter for their social communication purpose. Bloggers and Webmasters use the Twitter for their website promotion purposes. Twitter has always been one of the best promotion tool for every blogger. Twitter has shown good results for many bloggers. You can also take the benefit from the Twitter, but the problem here is that Twitter is only helpful for those bloggers, who have a vast no. of followers. Without having a good no. of followers, the Twitter is not going to help you at all. But getting the followers for your Twitter account is not as simple as it sounds. It is only simple, in case you are a celebrity or music band. Well, I hope you are not something like that, You are a simple blogger, who needs to attract the traffic from the Twitter, to his/her website. So as now you understand the value of having followers, you must be willing to make as many followers as you can. So how you can make followers fastly?? Well, the answer is by making use of the Twitter Marketing tools. There are thousands of such tools available now on the internet. 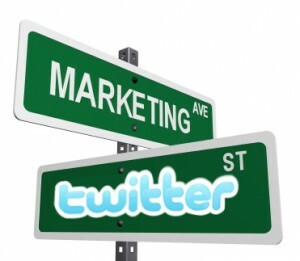 You may get confused by seeing the such huge rush of the Twitter Marketing tools. So I decided to make this post, in which I am going to post about some best Twitter Marketing tools. So lets have a look at the Top Twitter Marketing tools that you can use to get Huge Twitter Followers. It is probably the best tool so far for getting witter followers fast. Twiends is totally a free service, in which you get followers for your account by following the other people. This is a point based service, means you get points by following the other people and then you can spend those point to get twitter followers for your self. There is option to purchase the points also. Many bloggers, including me have used Twiends and found this service best in its promises. Tweers is also fast growing service , which help you in getting huge no. of Twitter followers. From past some time this tool is getting famous day by day. People who used it are giving a positive feedback to this service. The concept of this app is also same as that of Twiend. That is this tool also works on the points system. The service is very good and the user interface is what I like very much. The user interface is quite simple, there is not any complication in using this service. Actually, you must go with this tool, if you are newbie. This one is best twitter marketing tool as of now. This one has left the twiends behind. Currently I am also using this service to get Twitter followers. Actually it is the best twiends alternate. Th problem with the Twiends is that there is very less chances of getting static followers. In the Twiends most of the followers are temporary followers and they unfollow you after some days. But this is not the problem with the YouLike Hits at all. You get real static followers with this service. The other good thing about the YouLike Hits is that you can earn point not only by following others, but by liking the Facebook pages as well. Then you can use these points to get huge Twitter Followers for you easily.